WHY YOU NEED ROUGH-IN PLUMBING IN THE CENTRAL COAST? The “rough-in” stage is where much of the magic happens in home building and remodeling. Alongside wiring and HVAC installation, rough-in plumbing is a key process to be undertaken before a house’s walls and ceilings are put up. A plumbing contractor specializing in rough-in plumbing will make sure all the pipe connections within the framing are in tip-top shape, even before faucets, sinks, and other fixtures are installed. If you want a licensed plumber to oversee this vital construction stage, look for someone in Wide Plumbing Services’ accomplished roster. Let’s talk about rough-in plumbing and other processes pertaining to home building and remodeling. 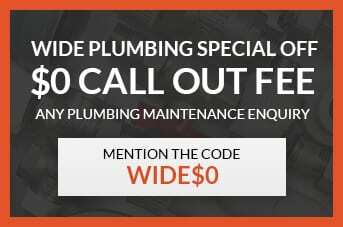 Give us a call at 0419 012 750 or send us an email at centralwideservices@gmail.com for any inquiries on rough-in plumbing, and to get an obligation-free project estimate. Our contractors have to make sure that the rough-in plumbing systems are completed before the structure’s slab is poured. It is careful and thorough work, and your contractor will expend a lot of effort in laying out pipes of the right size and right model. Considering the level of expertise needed, the amount of work to be done, the time it will take to finish the work, and other factors, the cost to hire a rough-in plumber should be from $75 to $225 per hour. Wherever you might be in the Central Coast, Wide Plumbing Services is ready to work with you. Our team is nothing short of experienced and credentialed, and above all we are trained to give you the best results. We also have a guarantee that the services you contract with us will be good for up to a year. That means, no additional expenses on your part for unnecessary tune-ups and adjustments. Before you hire us for any rough-in plumbing work, we can visit the construction site with you, talk about the work to be finished, and offer you a free, no-obligations estimate. We value transparency, and we won’t move forward with any additional work unless you approve of it. Get In touch with us at Wide Plumbing Services for rough-in plumbing and other specialty plumbing services.